This utility updates the HDPS-M10 firmware to version 2.19. Ensure that the battery icon on the HDPS-M10 LCD screen shows at least 2 bars remaining. Otherwise, charge the HDPS-M10 until the battery level is sufficient. The AC adaptor must be disconnected during the upgrade process. Download the SONY0219_US.EXE file to a temporary or download directory (please note this directory for reference). Connect the USB cable between the HDPS-M10 USB port and the computer USB port. Make sure that the AC Adaptor is not connected to the unit. The HDPS-M10 will not power off in steps 8 and 9 if the AC adaptor is connected. Press the POWER switch on the HDPS-M10 and ensure that it is detected by the computer. Go to the directory where the file was downloaded and double-click the SONY0219_US.EXE file to begin the installation. The current Firmware Version and New Firmware Version is displayed. If "Firmware Version" and "New Firmware Version" are the same, click the "Exit" button. Otherwise, click the "Start Upgrade Firmware" button to start the upgrade process. NOTE: Watch the "Messages" pane for instructions during the upgrade process. The HDPS-M10 will power off when the Upgrade Status bar reaches about 1/3 complete. As soon as "Please power on device again." is displayed in the "Messages" pane, press the POWER switch within 25 seconds to power on the unit. NOTE: "The firmware upgrade is on-going." is displayed in the "Messages" pane, indicating that the upgrade is in progress again. The HDPS-M10 will power off again when the Upgrade Status bar reaches about 2/3 complete. As soon as "Please power on device again." 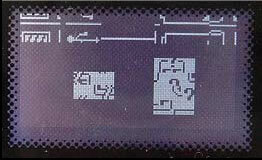 is displayed in the "Messages" pane, press the POWER switch within 25 seconds to power on the unit. At the "Firmware Upgraded Successfully" dialog box, click "OK", and then click the "Exit" button to end the upgrade procedure. The HDPS-M10 Firmware Update is complete. Firmware upgrade is not supported for the connected USB device. Cause: The HDPS-M10 drive is powered off or not detected by the computer. Solution: Press the POWER switch on the HDPS-M10 and ensure that it is detected by the computer. If necessary, disconnect the HDPS-M10 from the USB port and re-connect again. The application is already running. Cause: Another instance of the utility is already running, or the previous instance has not been completely closed. Solution: Use the existing window of the upgrade tool. If there is no existing window, please wait for 20 seconds before restarting the utility. Time-out error. Please exit this utility and run it again. Cause: The firmware upgrade operation timed out because the POWER switch was not pressed within 25 seconds when the "Please power on device again." was displayed in the "Messages" pane. Solution: Click the "Exit" button and power on the HDPS-M10. Wait until the HDPS-M10 is detected by the computer. The HDPS-M10 LCD screen icons may be distorted. Run the Firmware Upgrade Tool again and follow the Upgrade Procedure above. The LCD screen will return to normal when the firmware upgrade is successful. At right is an example of how the distorted LCD screen icons may appear. The new firmware version is older than (same as) the original version. If you still want to update the firmware, please press [YES]; otherwise press [NO]. Cause: The new firmware version is older than, or the same as, the current version. Solution: Click "YES" if your previous firmware upgrade failed. Otherwise, you do not need to proceed with this upgrade. Cause: This message will be displayed if "NO" is pressed in the previous Error Message. Solution: If you wish to continue with firmware upgrade, click the "Start Upgrade Firmware" button. Click "Exit" to exit the utility. Device can't be detected. Please exit the utility and run the utility again. Cause: The HDPS-M10 was switched off before upgrade was started. Solution: Click "Exit" and turn on the HDPS-M10. Wait until the HDPS-M10 is detected by the computer. Run the Firmware Upgrade Tool again. To get firmware version fail! Cause: There is a miscommunication between the HDPS-M10 and the upgrade tool. Solution: Exit the tool and repeat the Upgrade Procedure. The firmware code download fail! The firmware binary file doesn't exist! Cause: The upgrade tool could not access the firmware binary file. Solution: Exit the tool and repeat the Upgrade Procedure. Disconnect and re-connect the HDPS-M10 if necessary.